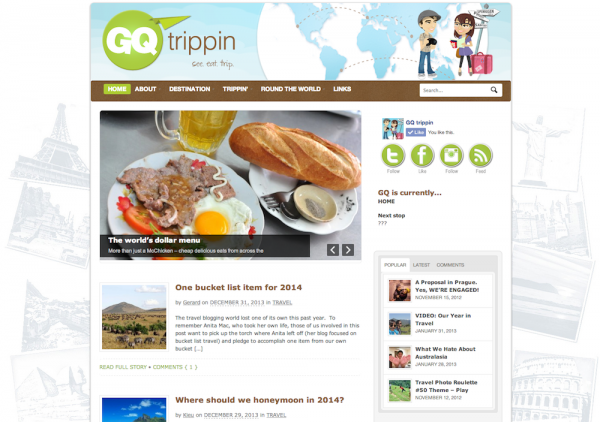 Hard to believe, it’s been nearly 3 years since we launched GQ trippin. When we launched the site on August 11, 2011, on Gerard’s birthday, we knew nothing about building or running a blog site. Bet you didn’t know we started out from a little place called Blogspot — this was new territory for us. 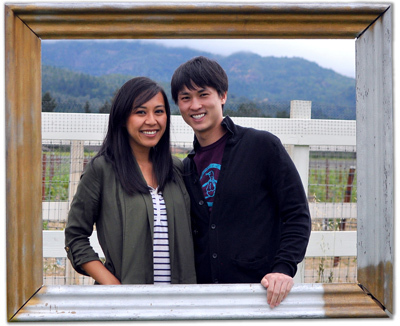 Shortly after launching the site, we quit our jobs to travel the world. The blog was to serve as a place for our family and friends to turn to and read about what we were up to. More importantly, that we were alive and well. Flash forward 30 some odd months later, neither of us ever imagined the site would be where it is today: we still blog for the sake of updating our friends and family, but it’s also become a resource hub to so many more — YOU, our readers! We’ve learned a lot, grown a lot. 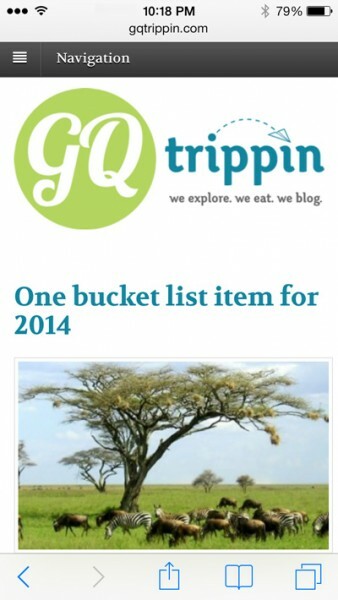 And while we don’t consider ourselves experts by any means, our blog has become a source for travel advice, packing list and budget tips sprinkled with a few delicious eats in between. 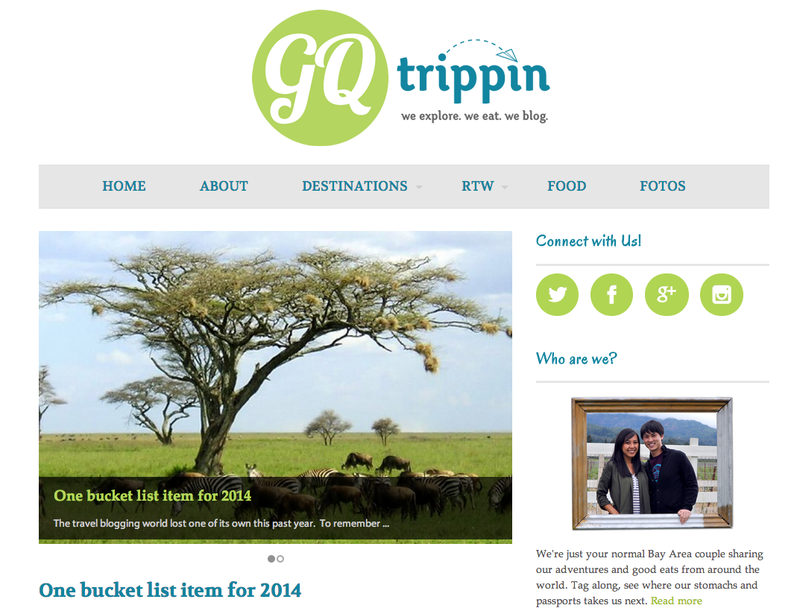 We have changed, so it only makes sense our blog evolves with us. Not a major redesign, so consider it a facelift – a cleaner, fresher look to go with the new year. It is because of you that we continue to do what we do, write what we write. We hope you’ve enjoyed what you’ve read thus far because there is plenty more where that came from. 2014 is already looking to be a great year. Psst.. please pardon our dust as we continue to make modifications for your reading pleasure. Love the new look, guys. Clean and simple! Can’t wait to see what 2014 has in store for you both. Congrats guys, and happy new year! to more adventures! Looks great! Love the minimalistic and clean look and feel! pretty much what we’re going for. We like your site even more!